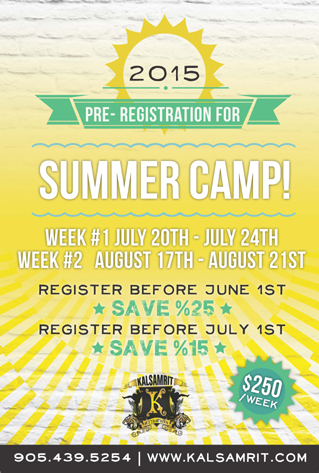 Little Warriors Summer Camp focuses on Confidence, Leadership Skills, Goal-Setting, Respect, Fitness and most of all FUN in the SUN!!!!!! We believe the biggest motivation for kids is encouragement!!! * Action-Packed Week of Fun and Adventure! * Better Coordination * Martial Arts Classes Daily! Why choose Kalsamrit Little Warriors Camp? Any camp that specializes in martial arts should provide a fuller immersion in the arts. Kalsamrit will certainly advance your child's training, permit participation in competition and will be able to grant belts. Summer Camps will fully engage children to develop skills during this time of year where there might be little else for them to do. Our coaches at Kalsamrit all currently compete in Muay Thai and other marital arts, with many real-life experiences and new feedback to bring to classes. Our coaches are always updating and gathering new knowledge through seminaries and coaching classes. Kru Brendan and Kru Tristan are enthusiastic, young and upbeat. They both have a passion for the sport and excel in motivating kids to succeed. 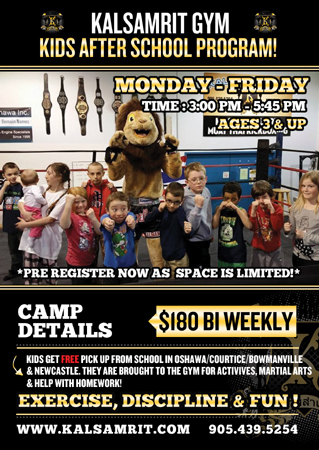 Summer Camp has had great feed-back and the kids love spending time with Kru Tristan and Kru Brendan learning martial arts and traveling on amazing field trips such as Wonderland as a group! Early Bird Specials. Bring A Buddy and Sibling Discounts Available! Kalsamrit Muay Thai © copyright. All rights reserved.